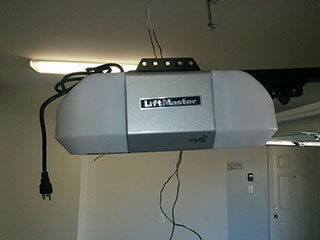 Your garage door opener is one of the most important parts of your automated garage system. Central to its operation, the opener is responsible for providing power and lift, key features which are crucial to the proper functioning of the door. If you are in need of installation, repair, or maintenance services for your automatic doors, here is a little bit more about how our team of highly experienced technicians can assist you. Our team can provide you with careful installations after helping you select the best garage door opener for your needs. We have access to a massive range of different products from leading manufacturers in the industry, as well as the substantial experience and skill required to ensure that every component is installed properly. If you have been looking for assistance with installations, give us a call right away. Our maintenance tasks are designed to keep your door opener in good health for long periods of time. With regular upkeep, we will help you ensure that your openers are always operating optimally and that their many safety features are functioning properly too. Call us today if the time for maintenance has arrived, and you need a technician that you can rely on to get the job done right. Don’t let a failed opener undermine the convenience and safety of your home. Our team of expert technicians is here to provide you with garage door opener repair services which are aimed at restoring them to their original condition, no matter what type of damage they have suffered. Openers can suffer damages from accidents, old age or even bad weather, which makes it important to have a repair technician close at hand to keep them working as they should. For further details on how our company can assist you with installations, maintenance, repairs, and replacements, contact a consultant from Garage Door Repair Jonesboro today. We are waiting for your call.